Have you heard about a shipping policy, but can’t figure out why is it relevant to you? According to a recent market research, nearly 80% of the online shoppers consider information such as shipping speed and costs, as primary requirements for making a purchase. A shipping policy, therefore, explains various aspects of shipping such as delivery timeframes, costs, delays etc. to your customers. 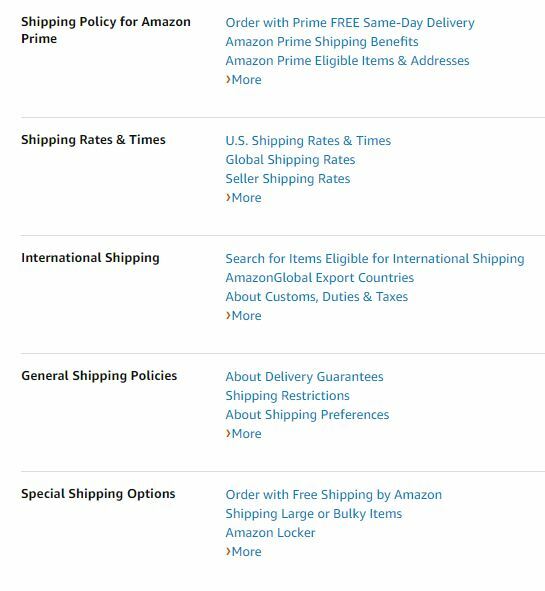 What is a shipping policy? A shipping policy is a description of how you ship your products to your customer. The policy must include a variety of parameters that can be helpful to the buyers and demonstrate the transparency of your business. Shipping policies have the immense power to establish your reputation as a concrete brand in the market and in the eyes of your customer. If you’re wondering about the whereabouts of a shipping policy, you’re at the right place. Why do you need a shipping policy for your business? A shipping policy page on your website can help you establish a clear communication with your customer. The normal rushing down the funnel process goes smoothly as the shopper comes to your website, picks a few products, adds them to the cart and proceeds to the payment. However, as the buyer reaches the end of the purchase, certain neglected factors about your refund policy, exchange information, shipping delays etc. can vandalize your shopping experience. Remember that the customers love transparency when it comes to successfully completing a purchase online. No matter if you’re a small business owner or a well-established entrepreneur if you’ve been depriving your business of a shipping policy, you’ve been missing out more than a couple of crucial elements for your business. A shipping policy helps in building trust in your brand. 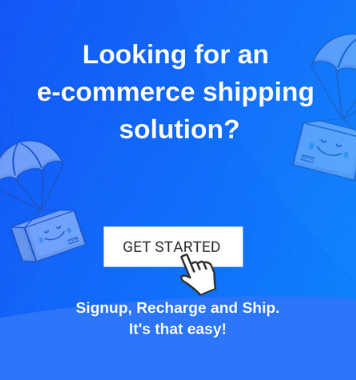 Decreases the rate of cart abandonment due to unexpected shipping costs. But, if you’re planning to rush into putting up that shipping policy on your website, beware of the common mistakes that can do more harm than good to your existing customer trust and revenues. 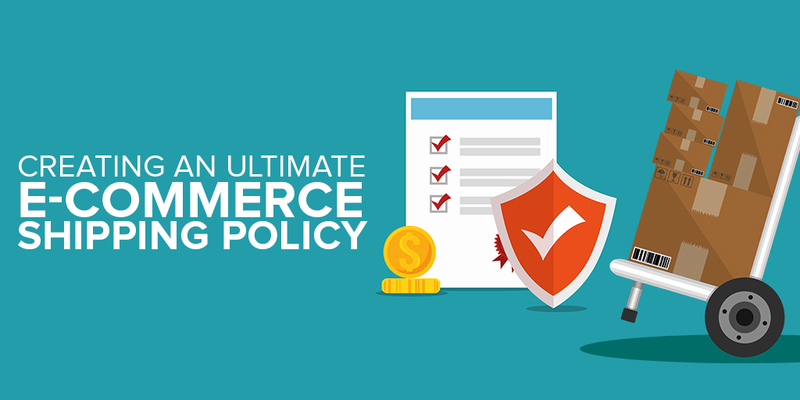 What not to do while creating an eCommerce shipping policy? Avoid the ‘Copy and Paste’ technique: Yes, never ever try to copy paste some shipping policy that you found on the internet and belongs to some other brand. Reserve the scary for Halloween: Do not add scary elements such as ‘must’, ‘we shall not hold any responsibility’, ‘asap’, ‘not our concern’, ‘you are required’ etc. in your shipping policy. Remember the idea behind is to make it easy for the customers, not scare them. Simplicity is the best policy: Make your shipping policy simple, short and easy to understand. Use plain English, rather than fancy or rarely used terms. Delivery Timeframes: Do not forget to mention the number of business days it will take you to deliver a product to the customer. Handling time: Write about the handling time that the seller will take to dispatch the products or in case the product needs to be stitched and shipped on order, specify it on your policy page. Possible delays: Informing your customers about any possible delay that their order may take during peak seasons or because of international clearance etc. will prepare them in advance for such situations. Pricing: Specify whether you offer free shipping or flat rate shipping. The best practice is to present your shipping rates in a tabular form. Warranty information: If you offer any warranty on your products, don’t miss out on flaunting it in your shipping policy. Tracking: Again a basic element, but make sure you mention how often you send notifications to your customer and where can they track their orders. Returns and Exchanges: If you ask your customer to self-ship the products for exchange or return, add returns and exchanges in your shipping policy. Shipping service: Your business might be offering one-day delivery, express shipping or prime delivery for your products. Make sure you specify whether express shipping refers to 2-hour delivery or next day delivery by 11 am. International shipping: If you ship to international locations, specify the countries and couriers that you use for the job. Restrictions: Above all, make sure you mention the restrictions such as unable to ship to some pin codes or some products that take additional precautions and time to be delivered. Amazon’s shipping policy is rightly structured and displays concise and necessary information for the customer. It is divided into categories and is much easier to understand from a glance. 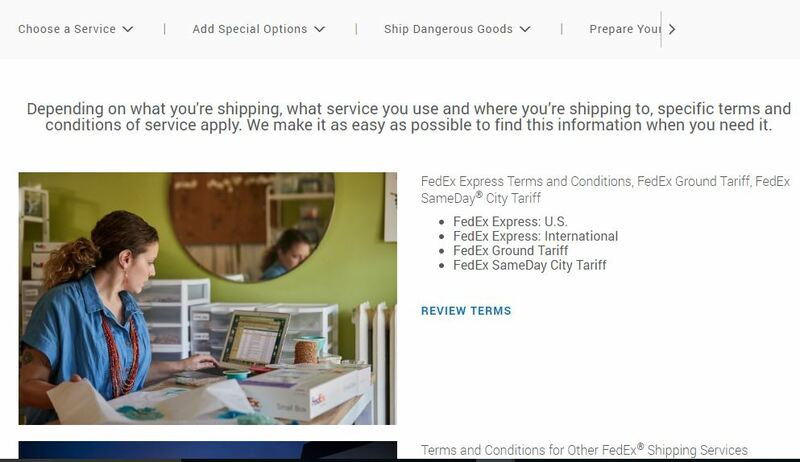 FedEx’s shipping policy is simple and has its services incorporated in well-segmented columns. So, if you want to ship dangerous goods with them, you can learn about all essentials related to it under one column. The whole idea of creating a shipping policy is to not miss out on some extra opportunities in your business. Since a good shipping policy can help you establish trust in your brand, make sure you get the best out of it by incorporating every aspect of it on your website. Thus, deliver happiness as you deliver your products.